There are no community screenings at this time. If you'd like to host your own, please fill out this form! Meet the members of our Speaker's Bureau for community events around Race in Colorado: Education. If you are interested in hosting such an event, please fill out this form! Pat Pascoe's husband, Monte Pascoe, ran for the school board in 1969 along with Ed Benton on a pro-integration platform. Shortly after they lost that election the Keyes lawsuit was filed. In 1973 the United State Supreme Court upheld a requirement that Denver desegregate its entire district, root and branch. This desegregation provided many benefits for Denver children of all races, but the schools are now again segregated. Pat served on the Community Education Council appointed by Judge William Doyle to oversee the desegregation plan. She has taught English at the high school and college levels before serving twelve years in the Colorado State Senate. Burt Hubbard was the lead data analyst and reporter for Standing in the Gap, and is a reporter for Rocky Mountain PBS News. Burt is well-known in the journalism world for his data analysis skills. His numerous awards include two prestigious Best of The West awards, a national education award for investigative reporting, and Reporter of the Year in Colorado. He also was a top-10 finalist for the Pulitzer Prize in local reporting for the Rocky Mountain News and is enshrined in the Scripps Howard Journalism Hall of Fame. Burt has taught computer-assisted reporting and internet research to graduate students for 11 years at the University of Colorado School of Journalism and Mass Communication. For the past three years he has led research symposiums for journalists and citizens throughout Colorado on behalf of the university. Laura Lefkowits was a member of the Denver Public Schools Board of Education from 1995-99 during the district’s transition from court-ordered busing to neighborhood schools and choice. Through personal experience and her own research, Lefkowits has deep knowledge about the history of Keyes v. School District No. 1 and its impact on the district. Since leaving the Board, Lefkowits has worked for non-profit and governmental education organizations across the country in the areas of policy development and analysis, strategic planning, government relations, and program development, management, and evaluation. She has delivered presentations and facilitated discussions with hundreds of audiences, large and small. 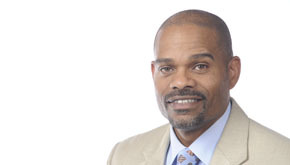 MiDian Z. Holmes is currently the regional operations director for Randstad Technologies. MiDian has sat on several boards that represent youth sports, local scholarships, and community outreach projects. She has been nominated for the Martin Luther King, Jr. Humanitarian Award. She is an advisory board member for Stand for Children, has been actively involved in the education reform movement. 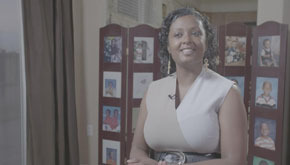 She is a proud graduate of Montbello High School and attended the University of Denver. Bill is the Director of Equity and Inclusion for Denver Public Schools and works with colleagues, students and the community. Bill works throughout DPS and in the community facilitating conversations on the behavioral and emotional impacts of race, class and bias in relationships. Bill has been working to transform educational systems for the past 20 years as a former school board member, parent consultant and school administrator. Bill enjoys facilitating conversations in the community and believes that through community engagement we can create a system where all children are truly successful. 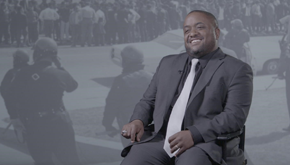 Vernon Jones Jr. (PJones) has been serving within the Denver community over the last fifteen years working to empower and elevate the voices of those often ignored by power players that protect structures and systems that do to rather than do with. He served in a number of roles at Manual High School from 2005-2014, his most recent role was serving as an administrative leader (AP) from 2010-2014. He is well known in the community for his service as Senior Pastor of Kinship Church (2003-2013) in North City Park and currently as an Associate Pastor of True Light Baptist Church in Montbello. Vernon currently continues his service in education as the Executive Director/CEO of Omar D. Blair Charter School in Green Valley Ranch. He is a Colorado native, happily married to Jaymie, and they have five children, three of which attend schools in DPS. Carlo was born in Belgium and is a first-generation American Citizen. He holds two European law degrees and is proficient in six languages. In 2001, he co-founded the YESS Institute with the vision to bring the benefits of emotional intelligence to at-risk youth. Today as the executive director, he oversees YESS serving 600 youth on a daily basis in 2 school districts, and integrated as during the day credited class in six secondary schools. 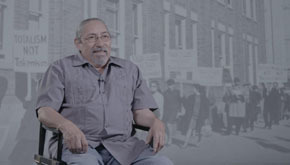 Ricardo Martinez is a founding member of Padres & Jovenes Unidos. Currently, he is a Co-Executive Director of the organization. 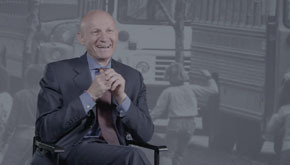 His involvement in the struggle for educational equity spans many years from the 1982 Supreme Court landmark case Plyer vs. Doe, that gave undocumented children the right to a free public K - 12 education to the current efforts to ensure that every student in the Denver Public School system graduates ready for college. Dr. Korach received her EdD from the University of Houston. She co-created the Ritchie Program for School Leaders in partnership with Denver Public Schools. 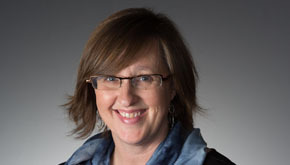 Dr. Korach is an active participant with the Alliance to Reform Educational Leadership, University Council of Educational Administration, and the National Center for the Evaluation of Educational Leadership Preparation and Practice. Her research focus is on leadership preparation, learning transfer, university/district partnerships, and institutional change. She enjoys golf, tennis, and spending time with family and friends. Dr. Candelarie received her masters from Regis University and her Ph.D in Educational Administration & Policy Studies from the University of Denver. 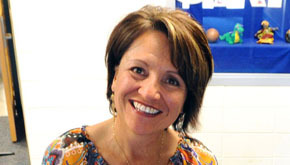 In addition to her faculty position at the University of Denver Dr. Candelarie is a practicing elementary principal at Sanchez International School in Boulder, Colorado. Her research interests include, school turnaround, school reform, social justice, community partnerships, teacher leadership, blended learning, personalized learning and educational policy. Dr. Salazar received a PhD from the University of Colorado-Boulder. She served for three years on the Colorado Quality Teachers Commission to design a teacher identifier system for the state of Colorado. 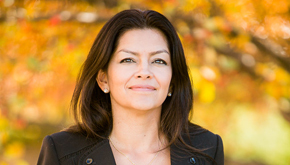 Dr. Salazar has served for four years on the Interstate Teacher Assessment and Support Consortium (InTASC), a national collaborative to revise model content standards and develop learning progressions for teacher licensure, assessment and development. Her research and scholarship center on transformative teacher preparation for diverse learners through empirical research and promising practices in teacher recruitment, preparation, and professional development. Dr. Hafenstein received her PhD from the University of Denver. 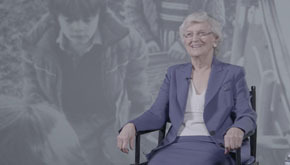 She founded the Ricks Center for Gifted Children and the Institute for the Development of Gifted Education. Dr. Hafenstein also serves as a member of the Colorado Department of Education Gifted and Talented Endorsement Standards Committee. Her research interests include young gifted children, information-processing styles, social and emotional development, mathematical ability, and individualized educational planning. Dr. Hafenstein loves music, is a classically trained pianist, currently performs in a women’s choir, is an avid reader, and is interested in art from Impressionist Era to Southwest works. 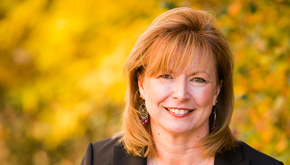 Dr. Riley is the Dean for the Morgridge College of Education at the University of Denver. Her education includes a B.S. in Psychology from Colorado State University; a M.A. in Early Childhood Special Education from the University of Denver and a Ph.D. in Educational Psychology with an emphasis in Child and Family Studies from the University of Denver. She completed a two year postdoctoral fellowship at The Children’s Hospital in Denver in the Fragile X Treatment and Research Center and subsequently worked at the Child Development Unit within The Children’s Hospital. She has recently been contracted to develop and implement a training program for teachers in Guatemala. This pre-service program will be a part of the university teachers’ program and will focus on how to work with children with neurodevelopmental disorders. She has over 15 years of experience in teaching and administration of early childhood special education programs. She has an additional 15 years of experience working with children who have neurodevelopmental disorders and their families.. She lectures extensively throughout the U.S. as well as internationally, on behavioral and educational interventions for children with neurodevelopmental disorders primarily those with fragile X syndrome. 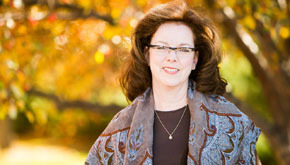 Dr. Jeanine Coleman is part of Curriculum, Studies & Teaching. She is the Clinical Assistant Professor in the Early Childhood Special Education program. Dr. Coleman has an MA in Early Childhood Special Education and she received her PhD from the University of Denver in the Child, Family & School Psychology program. She has served as a teacher, advocate, and interventionist for very young children with special needs and their families across the state. 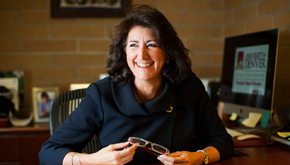 She worked on the Early Childhood Team in the Lieutenant Governor’s office under Dr. Barbara O’Brien and has worked for Head Start, Adams County Five Star Schools, Fisher Early Learning Center, and Denver Public Schools. Dr. Coleman consults with school districts across Colorado and other states on the Transdisciplinary Play-Based Assessment and Intervention process. Her research interests include families with children with neurodevelopmental disorders, assessments methods for young children, and working with families going through the early intervention/special education processes. Dr. Aswad Allen, a Denver native who was a student during Denver’s busing integration initiative, is the assistant dean for diversity and inclusion at CU Denver’s School of Education & Human Development (SEHD). He joined CU Denver in 2012 after serving on the CU Boulder campus for 11 years. Prior to these appointments, he worked in a variety of student affairs leadership positions at the University of New Mexico, Sonoma State University and Colorado State University. 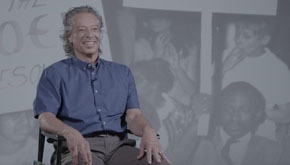 Dr. Allen’s 25-year career has centered on enhancing environments to promote and support inclusion by which all individuals feel supported and valued. He can speak about student persistence, student engagement, retention, increasing graduation rates and the discovery of a sense of belonging by marginalized student populations and the value of culturally relevant support initiatives. He desires to continue providing leadership in implementing models of student success designed to promote meaningful opportunities for diverse students and entire campus communities. Dr. Cheryl E. Matias is an assistant professor in the School of Education & Human Development at the University of Colorado Denver. Her research is on race and ethnic studies in education with a theoretical focus on critical race theory, critical whiteness studies, critical pedagogy and feminism of color. Specifically, she uses a feminist of color approach to deconstruct the emotionality of whiteness in urban teaching. Her other research interest is on motherscholarship and supporting woman of color and motherscholars in the academy. A former teacher in both South Central, Los Angeles Unified School District and Bed-Stuy, New York City Department of Education, she earned her bachelors in cultural communication from University of California San Diego, teaching credential at San Diego State University, and her masters in Social and Multicultural Foundations at California State University, Long Beach. She earned her doctorate at UCLA with an emphasis in race and ethnic studies in education. She is the faculty founder of Research Advocacy in Critical Education (R.A.C.E.) which is a collaborative think tank that supports racial justice. Some of her publications can be found in Race, Ethnicity, and Education, Teacher Education Quarterly, Journal of Critical Thought and Praxis, Equity and Excellence and Multicultural Perspectives. She is a motherscholar of twins, an avid Lakers fan and bachata ballroom dancer with her partner. Dr. Scott Schaefle conducts research in the area of White Racial Identity Development. His work as a clinician and teacher has helped him understand ways in which white people understand their own racial selves and history. 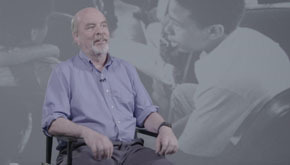 His understanding of racial identity development and general clinical knowledge has helped him work with white people to understand and address their own internalized racism and recognize things that they can do to manage their own racial bias and reduce potential negative impacts on people of color. Julie is the Director, an Executive Producer, and Co-Writer for “Standing in the Gap”: Race in Education. 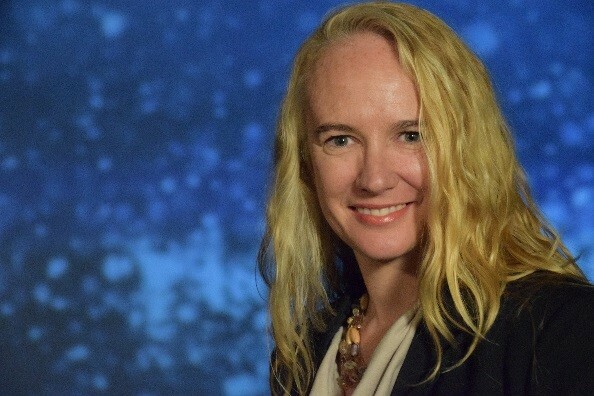 From HIV in Africa to homelessness in Denver, award-winning producer/director Julie Speer has spent the past 16 years creating socially engaging and educational video content. Recent credits include Emmy Award winning Colorado Experience, a weekly half-hour history show, and Great Ingredients, an Emmy Award winning web-series on local farming and produce. Long form documentary credits include Emmy Nominated Sweet Ambition and Haiti’s Small Miracles, both which aired on PBS stations and in classrooms around the United States. Swift Justice examines illegal immigration in America and the largest workplace raid in U.S. history. From 1999 to 2009, Julie was the Executive Director & Founder of Little Voice Productions – a nonprofit film company with a mission of educating and inspiring positive social change through media and technology. She is skilled in all technical areas of production – writing, shooting, and editing, and her true passion is directing. Julie is fluent in French and travels extensively. Julie is the recipient of many Emmy Awards, Telly Awards, and received a Bachelor’s of Art Degree in International Affairs and Economics from Vesalius College.